Mark Reynier is a legend of the modern whisky industry. He is most well-known for the his time as CEO of Bruichladdich distillery, after he acquired the abandoned Islay distillery from Whyte & Mackay for £6m in 2000. What he did at that distillery was – back in the day – unusual to say the least. His avant-garde approach saw regular scraps with the Scotch Whisky Association, countless new bottlings, cask finishes in some of the most prestigious wine casks on the market, and an exploration of terrior in whisky – how the landscape and the barley affects the spirit – that is rarely seen elsewhere. And the local community blossomed. But in July 2012, the distillery company decided – democratically, and controversially to the many fans of this whisky republic – to sell the business to Remy Cointreau for a staggering £58m. It was, simply, too good an offer. Mark Reynier voted against the decision. He didn’t want to sell up. But the company, whose resurrection he had led, was taken from him. Well, Mark got himself a new distillery. It’s in Ireland, this time, at Waterford Distillery. A whole new spirit, and a whole new spelling of whisk(e)y. Mark’s enthusiasm and exploration at Bruichladdich helped to define much of what I admired in whisky, especially as I was becoming more and more of a whisky geek. His enthusiasm for innovation was infectious. But that innovation at Bruichladdich seems tame compared to what he’s gone planned at Waterford Distillery. Mark was kind enough to spare some time to talk about his new project. For anyone interested in the process of creating a new distillery, and in the real Irish whiskey industry, then you’ll enjoy this. 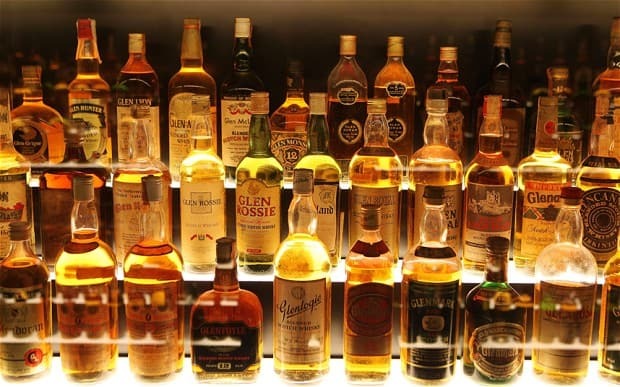 Malt: I suppose we should start at the beginning – with the basics of whisky. Barley. Yeast. Water. Particularly barley, because you’ve described Irish barley as being particularly good, and that your new site at Waterford Distillery will store a ‘Cathedral of Barley’. What’s all this fuss about Irish barley, and how is it relevant to what you’re doing at Waterford? Mark Reynier: Next time you are in a whisky shop, an amusing game to play is spotting the design plagiarism, the ‘lifts’, borrowed from one whisky and used by another: ‘that worked for them, we’ll use it too’. If one has an eye for it, hours of fun to be had. What it displays is a lack of original ideas and a preponderance of disjointed, incoherent propositions. Label statements that bare no resemblance to production realities. There is an alarming disconnect between what marketeers say and producers do. With incredibly efficient distilling at one end, the money saved is spent at the other, the marketing and sales, spinning stories, creating narratives, anything to add colour to the industrially-efficient spirit. I am a firm believer in the importance of barley. That’s where it all starts, it’s what makes whisky the most complex spirit revered around the world. Barley. 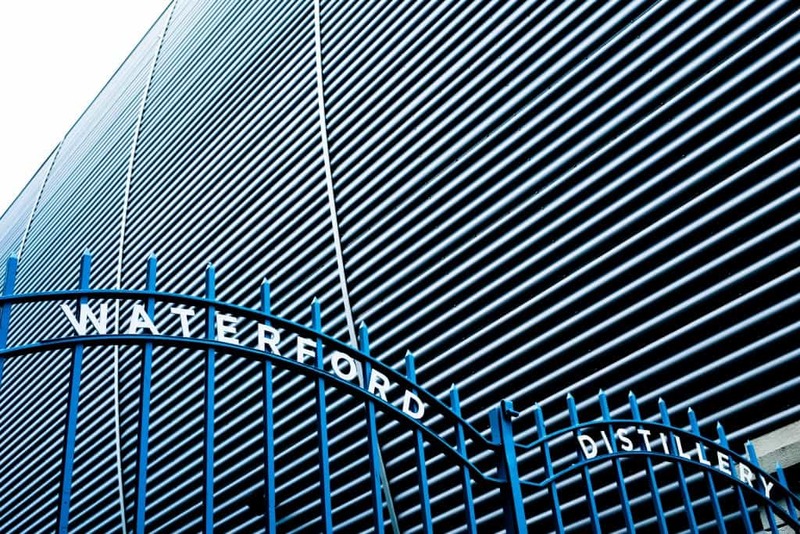 Waterford whisky is based around the Cathedral of Barley, our bespoke barley storage warehouse where 46 farms’ worth of barley is stored individually in ideal conditions, each in its own bin, from harvest through dormancy to malting. This is an unprecedented, I believe, a logistical operation that allows us to distil farm by farm with total traceability, guaranteed provenance, to explore the 19 different soil types and the effects of micro climates on barley and in to the resultant spirit. It takes what I started at Bruichladdich to a whole new level. Without compromise. It was old Duncan MacGillivray who once said to me that the best barley he ever saw was from this area. The yields are almost three times those of Islay, while not the same incredibly daylight hours of a short Hebridean summer, there are more days of sun on the Sunshine Coast. The Irish whiskey scene is very different to Scotch whisky. There aren’t half as many regulations involved. On one hand it frees up Irish distillers to try all sorts of things, but on the other it’s not exactly transparent what a drinker is buying. What does the lack of regulations mean to you? Actually, it’s not that different these days as most original indigenous regulations are now supplanted by those from the EU. A point of difference is the Pot Still concept of a mixed-mash, like bourbon, but otherwise the basic rules are more or less the same. I’m not really that interested in a mixing a mash with less complex grain, or indeed unmalted barley. Certainly it’s much cheaper if you don’t malt barley! I’m sure Irish Distillers, like all other large distillers, experiment but as with all of them it’s usually on ways to save costs and increase efficiency. In the Irish monopoly that existed for 40 years there clearly wasn’t much choice for whisky drinkers. Jamesons or Bushmills. So when spirit was made available to third parties by Cooley a whole new sector of ‘armchair’ independent bottlers appeared, resurrecting old labels. On the surface it all looks very healthy when one sees a 100 different labels, but not so good when one realises they all come from just one of three distilleries. Now that those three have ceased to supply the third party brands there is a bit of a supply problem – but not for long as Cooley #2 comes on stream in the guise of The Great Northern Distillery while others develop their own mini distilleries. 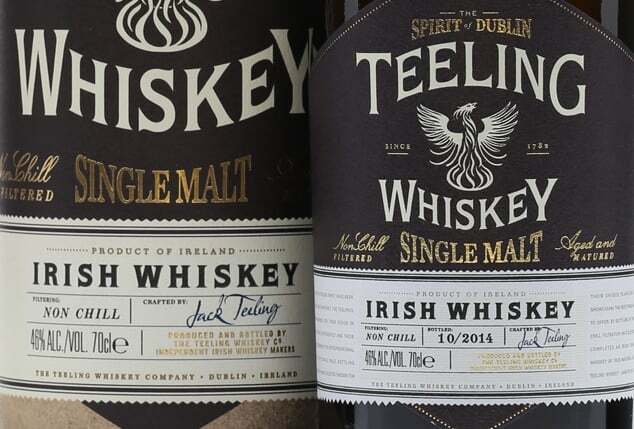 The point is there will be a slow realignment, a filling out of the somewhat hollow Irish whiskey market, but it will take a little time for it to settle down. The prospects are indeed good and it will all be come clear as brands supported by their own spirit come on line. The integrity you are alluding to will then be there. 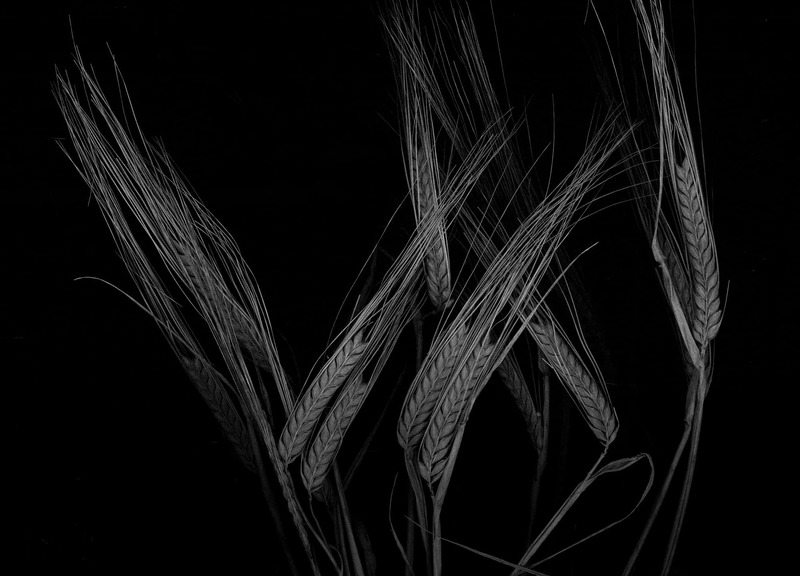 As for Waterford, there’s nothing to hide, it is all about barley, provenance, integrity, transparency, quality. It’s for the intellectually curious; it won’t be for everybody. I’m going to have to ask about Bruichladdich – largely because I found your excitement there to be hugely infectious for my own enthusiasm for whisky. For those of us on the outside, the sale must have left you rather hollow. How did you find that enthusiasm once again with Waterford? Hollow? You could put it that way. I had invested a lot in Bruichladdich – both emotionally as well as financially – it was an ‘expensive’ process. It was an abrupt ending, contrary to the plan, and particularly frustrating for me as I hadn’t quite finished what I wanted to do. I’d be lying if said I enjoyed having my baby taken away, or looking over the fence seeing it play and grow up with out you, it hurt, I don’t deny it. It does makes one a little harder though and I learned a lot on a number of levels and I’ll never forget that; it’s what makes the Waterford project so very enjoyable. With Waterford I have extremely enthusiastic and competent colleagues. It is wonderful to be able to harness such energy, intelligence, determination and goodwill. I really enjoy working with this constructive team. I really could not ask for more. And in putting this project together there is the smug satisfaction that there is nothing I could have done that we did not do. If that’s not excitement enough to be able to start this project with a totally clean sheet, free from old attitudes, industry conformity, conflicting agendas and with such good support, finance and experience, I‘m not sure what is. Am I enthusiastic about Waterford? Just a smidgen. Though to some it might be obvious, but others less so: why Ireland? Was it to put, quite literally, a sea between yourself and Scotch? Or simply recognition of a market that was undergoing radical transformation? Yes a bit of blue sea, certainly – been there done that. There’s three main reasons though. The opportunity to enter a vastly under-developed market is certainly an incentive; is Scotland stilled-out? There was the simply extraordinary facility that Diageo built in Waterford in 2004 for €40m just asking to be used. And, most of all, there’s the stupendous barley quality. Waterford is the oldest town in Ireland, built by the Vikings on a tidal estuary that looks more pastoral like an inland river than the Atlantic; it’s still a surprise to see seaweed in front of the distillery. The town has that air of a Cornish port. It isn’t as remote or exposed as Islay. Waterford is southeast coast Ireland – the Sunshine Coast – 200 miles nearer the equator, the same latitude as Cambridge so more benign weather all-round. Waterford is quite the different beast to Bruichladdich. It looks very modern, and the scale is enormous. The capacity is 3 million litres of spirit, I read. What potential does that offer over smaller-scale, Victorian, sans computer operations? Yes it is a different beast, as you say. There’s more stainless steel than you can shake a stick at. It certainly isn’t a hooglie, wee Hebridean distillery, there’s no cachet, no romance of a Victorian distillery; it’s not loveable in that same way. This is the polar opposite. It’s brash, cool, slick and shiny; it oozes power, might; it hums with excitement. It’s a facility to me because it facilitates; it interprets the 46 different farms’ barley that we have, distilling a farm a week. The incredibly modern equipment – €40m worth of 2004 kit – is certainly a little daunting at first. But remember, Bruichladdich was purpose-built, state-of-the-art once; this is the 2016 equivalent. Perhaps in 135 years it will still be in use like Bruichladdich? Besides, if I ever feel too sentimental about it, I wander through our Georgian era brewery, built in 1792, that is adjacent – that usually cures me. The great advantage of such advanced engineering is information, and knowledge, as the saying goes, is power. We know everything that is going on, in real time. Rather than guess we have the numbers. Just because ‘it’s always been this way’ doesn’t apply here. Sure it’s quaint to have knobs and levers that haven’t been moved in a hundred years people have forgotten what they do. We have the data to know why this or that is happening, to observe, to understand, to explore; it means you can tweak, experiment, improve; that’s fun, really fun. Certainly, for sure the original intention of all this hi-tech gear was for efficiency, the triumvirate of speed, hygiene and labour. We have sort of turned that upside down for we have all the time in the world, enormous capacity and an inquisitive disposition. We can use this uber-fancy kit and the information it provides us to our advantage, for quality not efficiency. That’s very exciting indeed, not just to me but also the guys here who have never really been allowed to look at it from that angle before. For example we have the complete kit here to to experiment with different yeasts, something I have always wanted to do. We are set up to distil 1m OLAs (Original Litres of Alcohol) to start with, limited not by water or fermentation vats but by the pot still capacity. We’ve plumbed it for 3m OLAs which we intend to move to in 5 years or so. We have the space. So no, it isn’t the same as Bruichladdich, it isn’t the same at all. But it has rather grown on me. 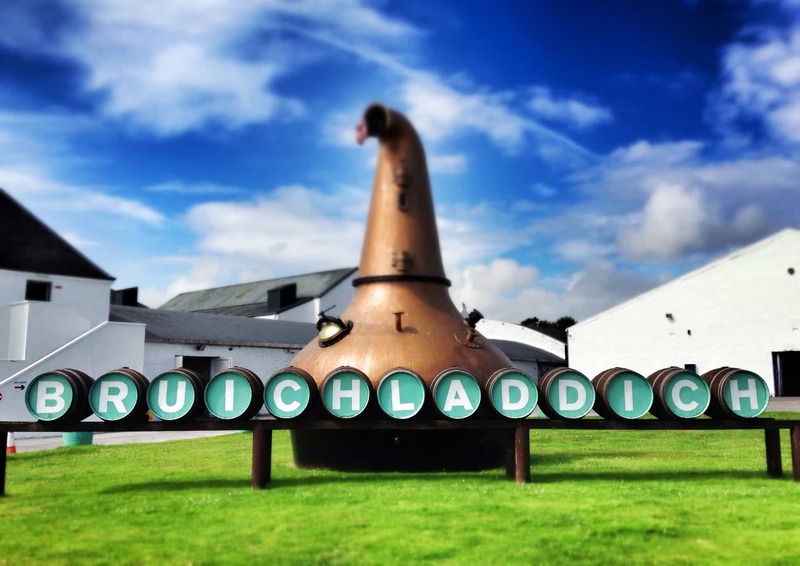 The stills – you’ve been loaned the old still that used to grace the front of Bruichladdich. Was that still the same shape as those inside the distillery? As shape of the still helps define the characteristic of the spirit, does that mean there will be a little of Bruichladdich living on through Waterford? Not quite. There’s a good story behind those stills. Shortly after we started Bruichladdich up we were tipped off about the demolition of Allied’s enormous, redundant Dumbarton distillery site. Shoe-horned in amongst the buildings was a little-known, self-contained, vertically-integrated malt whisky distillery. It was great opportunity to acquire spares for Bruichladdich so over a couple of weeks we pretty much stripped out all we could before the ball and chain moved in. We ran Bruichladdich on these spares for a decade! This is where Ugly Betty came from, now used for the Botanist Gin, it’s also the origin of the spirit and wash still that used to stand outside Bruichladdich; we were going to use them at Port Charlotte. They were built by Blairs in 1972 to make Inverleven spirit for blending up to the closure of the site in 1991. As there is a three year delay in new stills from Forsyths, I bought these spare stills from Bruichladdich and installed them at Waterford to make a decent head start. Forsyths refurbished them, new bottoms and steam kettles so they’ll be good for another ten years or so. Technically they’ve only been used for 19 years – and even then not very heavily. Both the shape and size of the stills are different to Bruichladdich’s; the spirit is quite floral, elegant, middle-weighted – more Highland Park than Bruichladdich. Those stills nearly bankrupted us at the time, but who’d have thought they would come in so useful in the end? I have Jim to thank for that. And that demolition guy that tipped us off? He’s now a shareholder in Waterford! When converting we included the opportunity to increase capacity considerably at a later date, for example with the addition of new stills. It’s all there. And we have locked away a very funky column still too, but that’s not for now. I loved the flavours brought about by various wine casks at Bruichladdich. Will the same be happening at Waterford? In fact, are you able to share a little about the casks you’ll be using? I’m particularly curious, going back to the point about the freedom to experiment in Irish whiskey versus Scotch whisky. Oak is almost as taken for granted as barley. There is a lot of nonsense attributed to oak I have heard such ridiculous ‘facts’ from industry folk that makes one want to weep. Apparently, from one expert, ‘70% of a whisky’s flavour comes from the oak’; which sort of begs the question why not just cut to the chase and put straight water in barrels? Oak is one component that allows all those flavour compounds from the barley created during fermentation and distillation to develop further through micro-oxygenation though the wood in to the mature flavours we all appreciate. Sure more and more these days companies are looking for ways to shorten that ageing process but we have no intention of intervening in this entirely natural process: no microwaves, oil extracts, chips, heating casks, ultrasound, adapted casks etc. we’ll let the quality of the oak do the talking. My interest in oak stems from my wine days. One needs to understand how different oaks and cooperages work, one has to have a feel for it. There are a number of ways to cut the cake: American and French oak; thick or thin staves; heavy toast versus light; spirit or wine; vanilla versus toast; dry versus sweet. One thing is for certain in distilling, as night follows day, wood quality is the last thing that gets any money spent on it – and the first to be dropped when funds are tight, after all a barrel is a barrel is a barrel, right? especially when the caramel bucket is close at hand. From experience I know how hard it is to implement a good wood policy so I have set the project up to ensure the best wood possible, from day one, without compromise. For each of the farms distilled there is a similar apportionment of casks, primarily American oak, with 20% new, some premium French, some sweet wine, some fortified wine – an intriguing balance right across the board. We have allocated serious funds, as much as it takes. It’s simply too important to compromise. You’re big on people and characters, so let’s talk about the people of Waterford. Who are the main characters in your new adventure? I have met some lovely people on Islay including great characters like James Brown, you can’t miss him! I still see him when I’m on Islay at my house there. When you’re on such a remote community you are very much thrown together; Waterford is Ireland’s third largest town, the demographics couldn’t be more different. I had the fortune to meet some great people from the first day I visited Waterford that has allowed me to create a really high calibre management team. In charge of the place is Paul McCusker [pictured above]. Anthony Brazil is responsible for the machinery, while Lisa Ryan, a chemist, is in charge of the barley and jolly Ned Gahan, the spirit. They all get on extremely well together – there are no egos, no prima donnas – we all speak the same language and they have to rely on each other to get their jobs done. They are a very competent and positive group of people that work well together. It is a delight to work with them, it really is. I haven’t laughed so much in years. It helps, too, that they have worked together at Waterford since it was built. They know it inside out. I read that the first whiskey from Waterford won’t be available for 5 years. Given that you released very young Bruichladdich whiskies – even spirit – how come you’re holding off for so long, and what are you going to be up to during that time? It’s a self-imposed timescale. One costly thing I learnt at Bruichladdich was where to apply maximum focus, and more importantly, where it was wasted – oh the distractions! 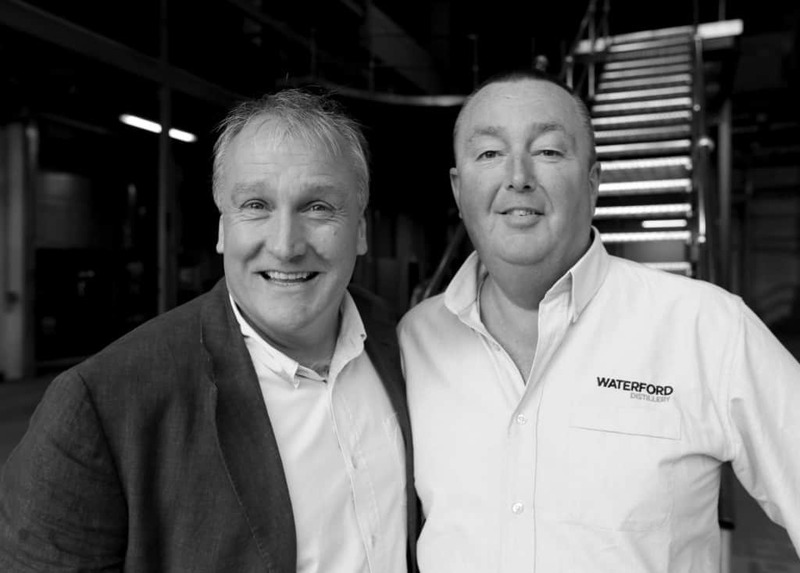 The Waterford project is financed in a novel way that means we do not need to chase revenue in order to distil. We have bought ourselves time to do this properly. We have no mature stocks to market, no sales & marketing team competing for finance while you’re desperately trying to lay down new spirit. This time the decks are clear to distill the best spirit possible from the greatest barley and finest wood. We don’t need white spirits, cask sales, ACEing etc. There are no distractions, no need to deviate from this extremely focused path. And, fundamentally, we are ALL on the same page. When I am ready, only then will we bring Waterford whiskey to market, and incur the necessary costs at that time. When you took over Bruichladdich, your promotion of it was unique and influential. Its rebranding and confident marketing set the template for many a new distillery. How difficult is it to make a noise with a new distillery in 2016 given that there are so many more of them, each one shouting loudly for attention? And how will you get around those difficulties? I’m not sure Bruichladdich should be used as a template for a new distillery. It wasn’t. We bought 1.4m litres of maturing whisky stock at the market price on 19/12/2000 – and had a distillery thrown in for free – more or less. That’s a very different proposition to a new build project: confuse them at your peril. When you are considered a whisky iconoclast it’s not that hard to stand out, as you say, if you have believe strongly in what you are doing, which I do having spent almost 40 years in the drinks business both making and marketing. There is though a worrying issue with homogeneity, the number of new projects with the same advisors, model and equipment doing the same thing, telling an identical story to the same audience. Certainly, compared to when we started at Bruichladdich, the internet has developed a whole new level of independent writing and appreciation – you for example – that just did not exist fifteen years ago. Then it was one ‘writer per distilling group’ and no more. You had to shout, because they simply did not want or indeed, need to listen to anything that upset the story, the status quo, of their powerful benefactors. It’s different now, and that’s a good thing, much more democratic. But I do believe there will be tears before bedtime with some of these projects: it is much, much harder than any of them can possibly believe. As for Waterford you won’t hear much about what we’re doing over the next five years: it’s head down and distil! 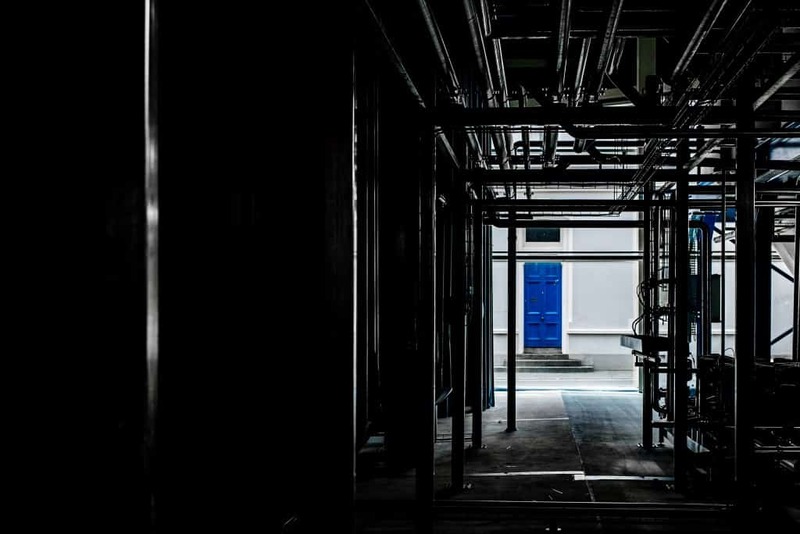 Finally, what impact do you hope Waterford will have on the Irish whiskey industry? Irish whiskey is certainly in an encouraging era after decades of stultifying monopoly. A bit like a playing out a hand of trumps, they forgot the ace was still out there. However, the present situation it seems to me is a little hollow, that weak middle needs to fill out which will take some time. At one end joining Pernod we have Suntory, William Grant, Brown Forman, Di Saronno, and Jose Cuervo; at the other 15 or so small distillers – and a couple in the middle. Some lean towards Bourbon, others to Scotch, some to Irish – whatever that is. And that is quite the dilemma: what is Irish whiskey? Pernod say it is Potstill – the mixed-mash concept – so I guess their definition will predominate. There were once five ‘single malt’ distilleries in Ireland, so my idea is not exactly new on that front. The work I started at Bruichladdich, the ideas of terroir, provenance and traceability, were heavily influenced by my wine trade upbringing. It is the ‘intellectual curiosity’ behind these concepts that intrigues me. Sure it’s not for everyone, certainly, it’s for those that want that more. That is what I am doing with Waterford. By developing this highly fastidious programme of component whiskey creation, when the time comes to assemble the definite bottling we will create not only the most profound Irish whiskey ever, of that I have no doubt, but possibly the most profound single malt any where – full stop. At least, that’s my aim. Brilliant read, as always – nice one Mark. That is an excellent interview you’ve produced with Mark Reynier, thanks so much. I’m very much excited to see what will come of this new venture of his and cannot wait until there is some Waterford single malt to try. Hi Charles – thanks so much for the kind words. And yes, what’s coming out of Waterford should be tremendous. Finally got round to reading this interview.. Mr Reynier is right to go against the grain( no pun intended) and produce what he, Ireland and the whisky drinking public want, a 21st century spirit for a 21st century Ireland. Can’t wait. Great article and we shall watch this story unfold. I really hope Reynier takes the time to truly understand Irish and Waterford culture. Its important that he harnesses that into what he is doing. That spirit (no pun) and character is important in order to make this a unique and exceptional whiskey. If he is all business and ‘marketing’ I fear it’ll be just another whiskey in a fancy bottle with nothing exceptional going on. I’d really like to see him try to work with Irish oak, like Midleton have done very successfully with their exceptional ‘Dair Ghaelach’ bottling.